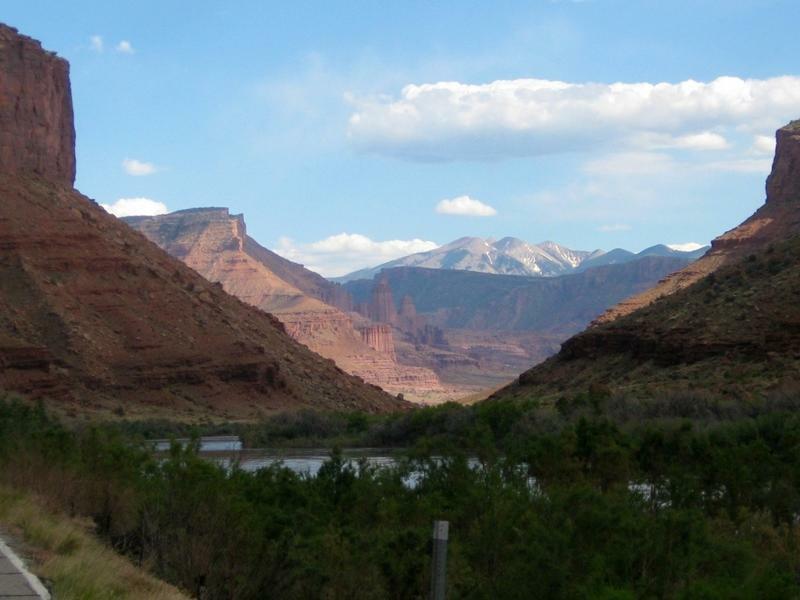 We’d taken the advice of our good friend and Admin, Mark S., who has hundreds of miles worth of cross-country traveling experience and we drove south on UT-128 into Moab, Utah. The drive was fascinating! 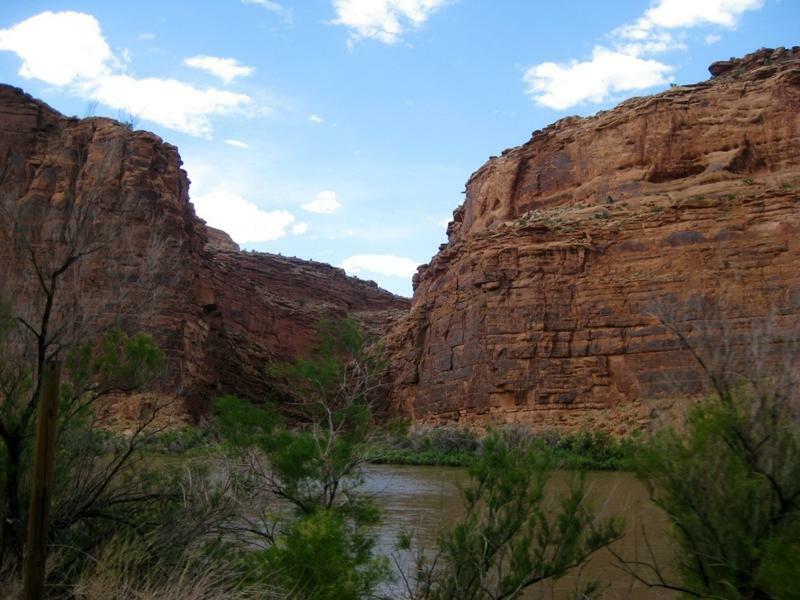 Brian and I “Oohed,” and “Aahed,” the entire drive as we wove along the Colorado River through a red-walled canyon. Moab is located at the southern end of the Arches National Park and is a popular tourist destination, particularly for avid mountain bikers. We were worried that our early evening arrival during the summer season might make finding a hotel difficult. We were in luck! At the locally owned and operated Adventure Inn we received a very cozy, very clean room for the night. 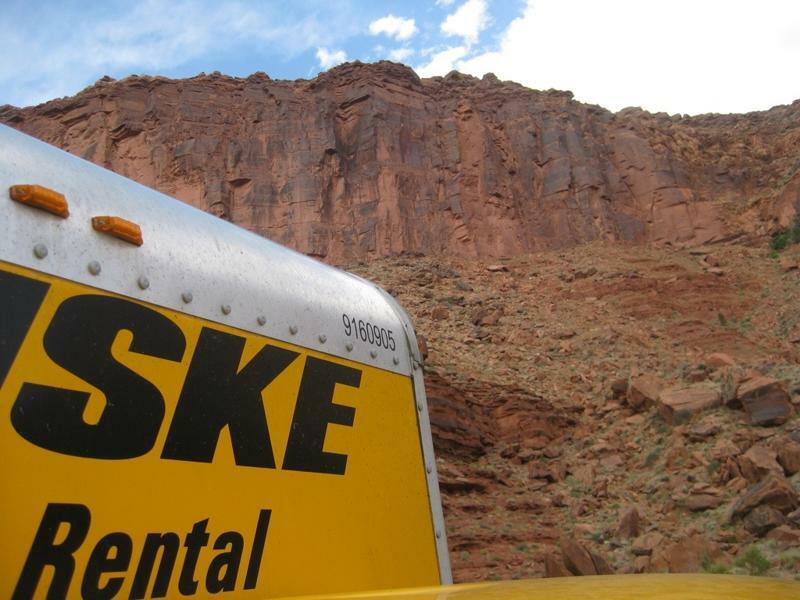 There was plenty of parking space for the Penske truck amidst several jeeps, pick-ups, and trailers. We settled quickly into our room and then walked into downtown Moab. A quaint town, Moab offered several touristy shops featuring work of local artisans as well as the “big name guys” such as Life is Good and Red Dirt Shirts. We were en-route to Moab Brewing; unfortunately for us the brewery was closed that night due to a power outage. Instead, we selected a delicious Mexican restaurant and then stopped by the grocery store on the walk back where we selected Polygamy Porter for dessert. Polygamy Porter was tasty, why stop at just one…hey, when in Utah! The highlight of the night was running into Mater (the tow truck from Disney/Pixar Cars). I could hardly believe it!! This was my first, real-life encounter with a movie star! And he’s ANIMATED! What are the odds!? 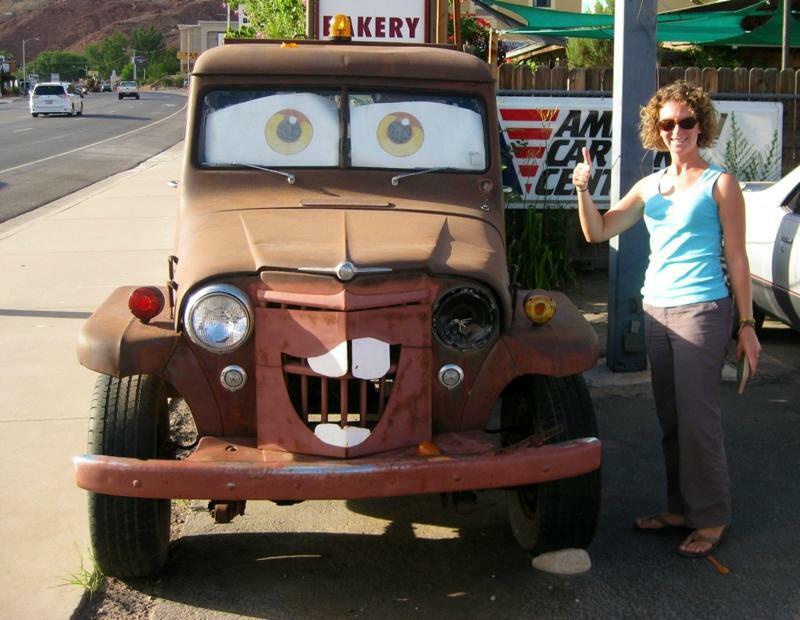 This entry was posted in Uncategorized and tagged adventure inn, adventure inn motel, cars, disney cars, mater, moab, polygamy porter, Rode Trip, UT-128, utah, Utah route 128 by stephanie. Bookmark the permalink.